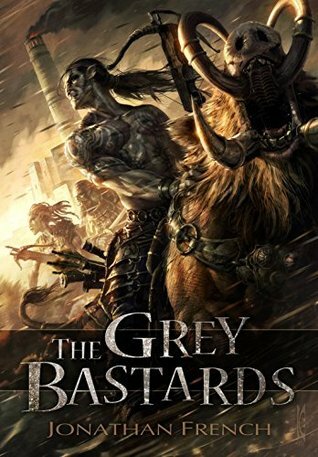 The Grey Bastards by Jonathan French! I give some analysis below. Last year the ten bloggers/teams gave three scores of 9 among their hundred scores and they went to three different books. This year there were nine scores of 9+ and six of them went to the winner! Including the SPFBO's first ever score of 9.5 and first ever perfect 10. Last year the winner was the favourite of just one blogger and the books placing 5th and 6th were the favourites of two boggers each. This year the winner was the favourite of six bloggers. Last year the spread of scores was from 6.25 to 8. This year the spread was 5.1 to 8.65. 2nd placed Path of Flames by Phil Tucker was favourite with three blogs and I've read it and can see why! All of these books were someone's choice for finalist and they all scored 7+ with two or more bloggers, so check them out. You never know what will hit a chord with you. Huge thanks to all ten bloggers/teams for their very considerable efforts and to Katharine of Ventureadlaxre for stepping in to fill a gap. The bloggers are the stars of this show so be sure to keep checking them out now we're done. Anyway. That's my job done. Remember, this is only a success if you allow yourself to be moved by the exercise to try some of these titles. They are cheap to buy, and the top 3 are the 1% of the 300 entries to #SPFBO2. 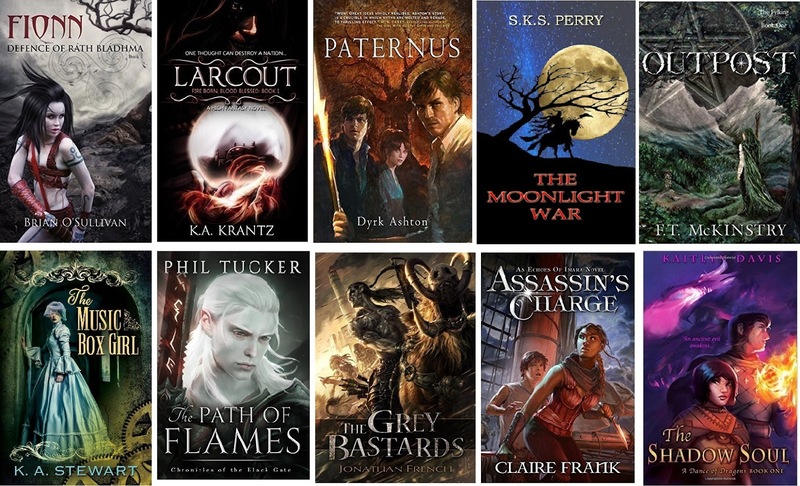 There's even a celebratory giveaway of Paternus audiobooks. Will we do it again? I don't know. If there proves to be enough interest among bloggers and authors then probably. Let's just give the thing a moment for the dust to settle and the winners' confetti to be swept away. In case you're interested, we have 5 male and 5 female finalists, from a field that was 49% male, 33% female and 18% unknown (initials). I'm encouraging bloggers to give their finalist a score that allows them space to reward any even better books that come along. I'm also encouraging bloggers to use the range of marks since if they mark all the books between 7 and 8 they will have a smaller impact on the final result than a blogger who scores between 2 and 9. (the range is 1 to 10). On Fantasy-Factor Laura Hughes discusses the SPFBO at the half way point. On Pornokitsch Jared covers 4 books in one go and agonizes about the vexed business of numbers. On Fantasy Book Critic a general round up and stock take. On Laura Hughes's site, a general SPFBO assessment. Jared does a three in one on Pornokitsch. Lynn enters the final round and targets her first victim! Exit interviews with three runner uppers. Exit interviews with two more runner uppers! Sarah starts her final round campaign on Bookworm Blues. A phase 2 round up from Fantasy-Faction. Bibliotropic's Ria on ratings vs rankings. Pornokitsch is first to the finish post, reviewing their last 3 finalists! On Kristen Reads Too Much a review of Grey Bastards. Elitist Book Reviews on the business of writing good. SPFBO interview on Shona Kinsellas site with me! SPFBO interview on Shona Kinsellas site with Dyrk Ashton! On defining character, from Elitist Book Review. *Bibliotropic is having to pass the torch to Ventureadlaxre for the last 4 finalists. Thanks to Ria for sterling work, and to Katharine for stepping up to help out! Please do one of these for sci-fi one day! Muggles and the elitism of fantasy.